I am working on an iPad application which is in both orientations having different layouts but we have only one size class for both orientations. How to make different layouts for landscape and portrait separately using size classes. I have followed this answer but it does not make any difference. I answered a similar question in detail here where I talk about activating and deactivating constraints so you can have a different layout on iPad for each orientation. 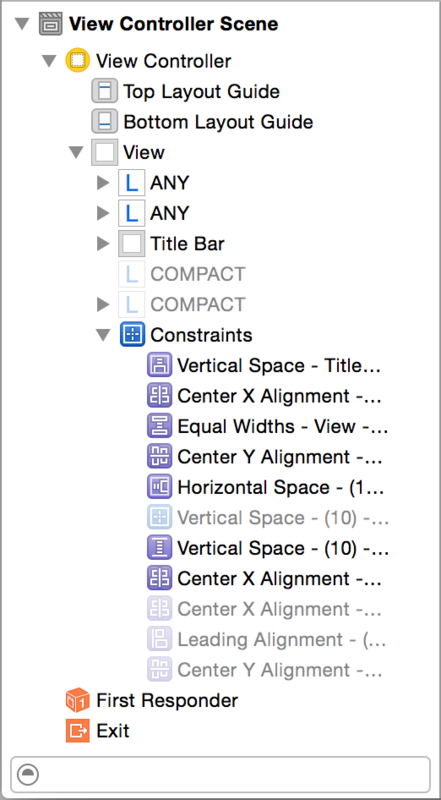 Change the view elements shown in your interface for different screen sizes and orientations. Installed views are added to the view hierarchy. Uninstalled views are not added. Identify desired size class for your orientation then design your separate layout for separate size class using its installed and uninstalled property. If the utilities area is not open, choose View > Utilities > Show Utilities. 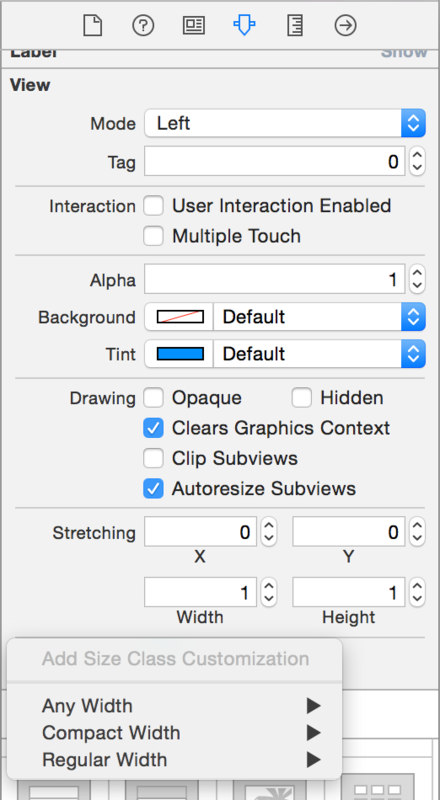 Select the view you want to install or uninstall either on the canvas or from the outline view. In the Attributes inspector, click the Add button (+) next to the Installed property and choose the size desired class from the pop-up menu. After choosing a size class from the pop-up menu, a new entry item for that size class appears in the Constraint inspector. Select the checkbox for the desired entry line to install the view for that size class. Deselect the checkbox to uninstall the view. In above image, lighten view represents views which are designed but included in this particular version of size class. You can find detailed explanation over this apple document on installing and uninstalling views for size classes. Not the answer you're looking for? Browse other questions tagged objective-c ipad autolayout landscape-portrait size-classes or ask your own question.